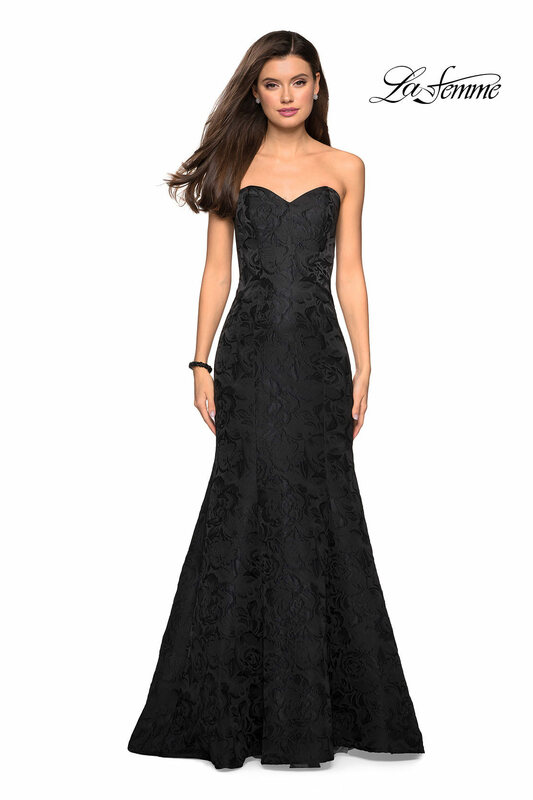 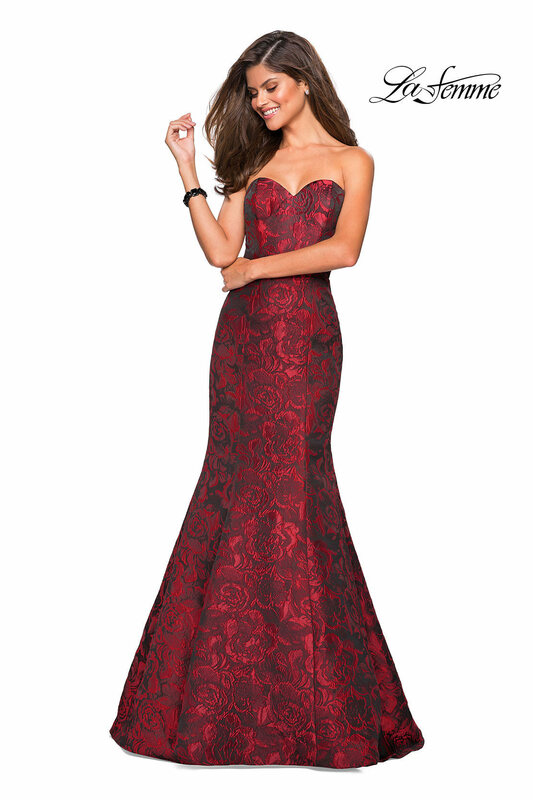 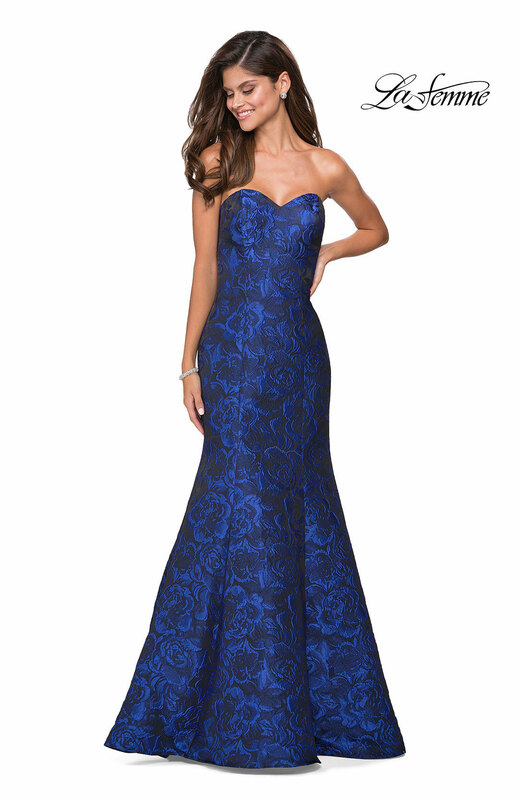 This La Femme 27149 has a sweet heart neckline and form fitting Jacquard fabric. The rose detailing covers the entire dress and is absolutely a classic dress. The mermaid bottom gives this dress a little flare and we love it. 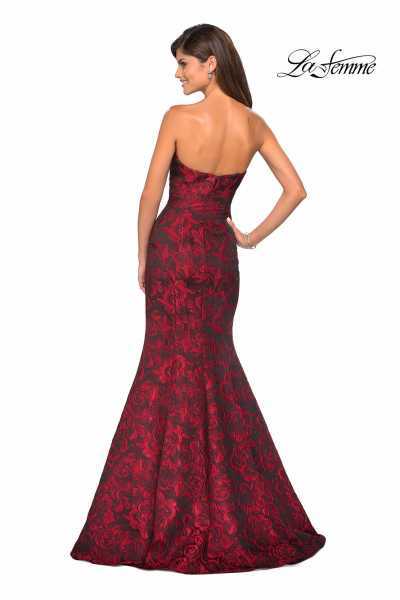 The back is straight across and is enclosed with a zipper. Wear this to prom or any formal event.